Start e-Prescribing in Oklahoma Today! Starting January 1, 2020 prescribers in Oklahoma will be required to electronically prescribe Schedule II through Schedule V controlled substances. 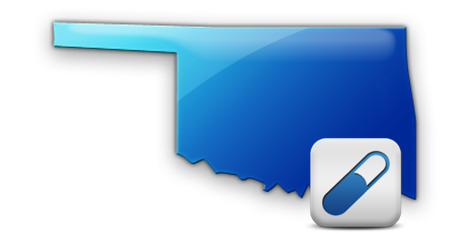 MDToolbox is an approved vendor in Oklahoma and our e-Prescribing software, MDToolbox-Rx, meets all of the requirements for e-Prescribing and EPCS. PLEASE NOTE: We will validate your Company/Practice information entered above Prior to sending trial start up form. Trial will only be granted to U.S. based registered Companies and Licensed Medical Providers and their staff. As of January 1, 2020, prescribers are required to electronically prescribe Schedule II through V controlled substances in Oklahoma. Waivers or extensions can be granted through the licensing board and if they are granted, prescribers will be required to use official prescription forms provided by the Oklahoma State Bureau of Narcotics and Dangerous Drugs Control. Prescribers, or their designated staff, are required to check the Oklahoma PMP for new patients or if 180 days have elapsed since the last PMP check for the patient, prior to prescribing one of the following: opiates, synthetic opiates, semi-synthetic opiates, benzodiazepine, or carisoprodol. With MDToolbox, you get a link to the Oklahoma PMP login from right inside the prescripton writer, making it easy to remember to check and document that you checked the PMP.